Gum disease (periodontitis) is a serious infection that affects the tissues that surround the teeth, and more importantly the bone that supports the teeth. If periodontal disease is left untreated it may lead to tooth loss. Periodontitis is thought to account for up to 30-35% of all tooth extractions, which eventually result in resorption of the bone that used to support the tooth. This may cause difficulties stabilising dentures or placing implants in the long run. Since periodontitis is painless, contrary to dental caries, most patients simply ignore the fact that they have the disease, until it is too late. Statistics show that approximately 95% of referred patients, realise the importance of periodontal therapy and don't consider it as a luxury but as a therapy which will improve their general health. They ultimately spend less money than they would spend to replace extracted teeth in the future. Redness, swelling and tendency of the gums for bleeding. These symptoms are usually masked in smokers, due to the effect of smoking on the soft tissues. One of the main complains of patients with periodontal disease is bad breath. People who believe that they have bad breath can adopt avoidance patterns and have psychological problems. Findings from many investigations documented that the majority of cases with malodour relate to the oral cavity. The reason is that a number of bacteria that are related to gingivitis and periodontitis can produce hydrogen sulfide and methylmercaptan from substances that are present in the oral cavity. In some cases, due to bone loss, there is retraction of the gums because they lose their support. Retraction of the gums is not always due to periodontal disease, but in many cases is due to overly aggressive brushing. There can be different reasons for tooth mobility. One of the most common reasons is periodontal disease. Obviously, since the bone is destroyed, the support of the teeth is decreased. You may notice that there is an increasing gap between your front teeth and that your teeth have changed the position that they originally had. Tooth migration happens due to the loss of the supporting tissues of the teeth. Periodontal disease is a chronic bacterial infection and its early form is gingivitis. Dental plaque irritates the gums and causes inflammation. The gums have the tendency to bleed and to swell. This is a condition that can affect 100% of the population. However, in the people that are genetically susceptible, plaque induces an inflammatory response in which the supporting tissues, including the bone, are destroyed. Findings from epidemiological studies have revealed that the experience of periodontal disease increases with age. 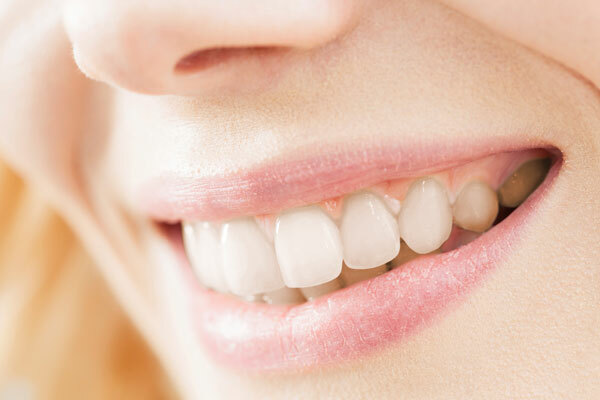 Current epidemiological data in Europe and other parts of the world clearly show that there is a small, although important, fraction of the society (10-15%), which is affected by severe periodontal diseases, which means that these patients suffer extensive loss of tooth support and run the risk of losing their teeth. However, a higher percentage of the population is affected by moderate patterns of the disease. These patients require a more advanced treatment of their periodontal disease that can be performed by a health provider with extended training as a periodontist. The aggressive forms of periodontal disease, which are frequently characterized by an early age of clinical manifestation and by familial aggregation of cases, are in urgent need of treatment. There is data that shows a potential link between periodontal disease and heart disease and even premature birth. There are stronger data, however, that show an association between diabetes and periodontal disease and that there is a higher incidence of periodontitis among smokers than among non-smokers. The causative factor of periodontal disease is dental plaque. Therefore, its treatment is focused on the removal of plaque and tartar (calculus) by careful scaling of the root surfaces. This is usually managed by non-surgical treatment, which is concluded in 3-4 appointments and under local anaesthesia. In advanced cases, there might be a need for periodontal surgery in order to have better access for cleaning the root surfaces and creating better anatomy of the bone and the gums. The same kind of local anaesthesia is used and in the majority of cases the patients don't complain of any discomfort whatsoever. They can go to work and follow their usual habits. During treatment, patients learn exactly what periodontal disease is and why they suffer from this disease. One very important aspect of the treatment is that they learn how to perform careful home care, which will prevent further problems with their teeth and gums.